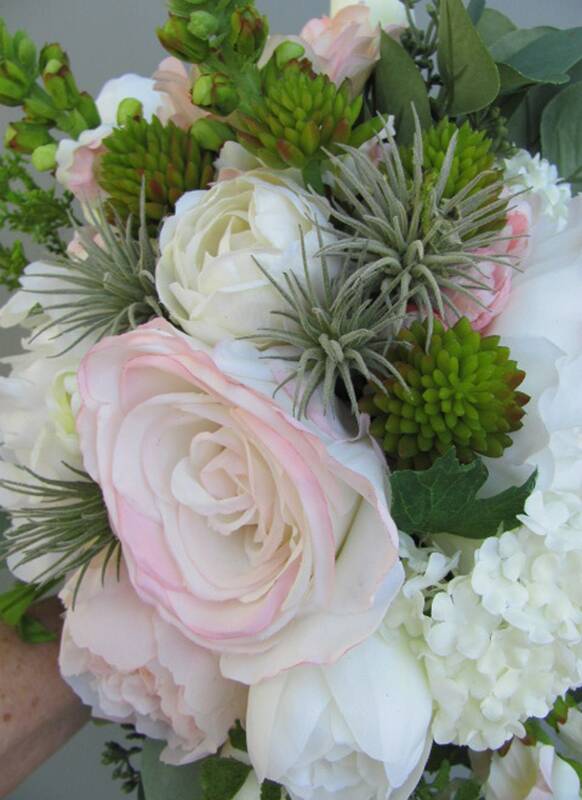 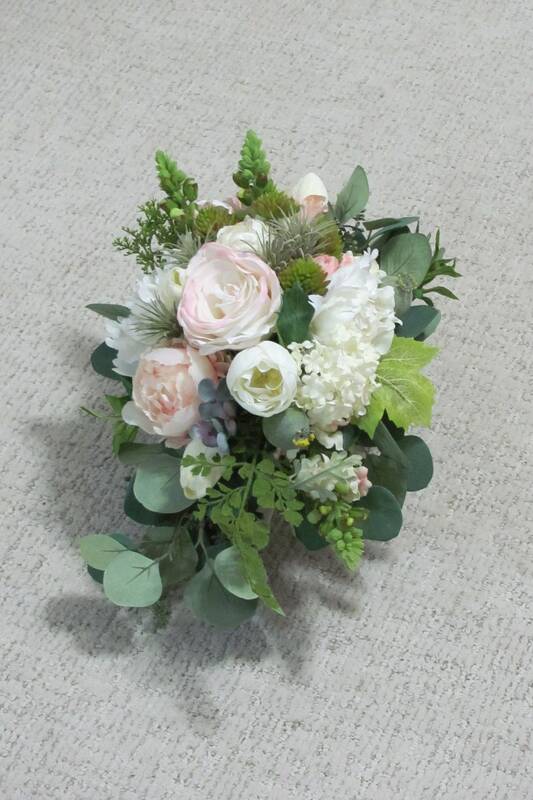 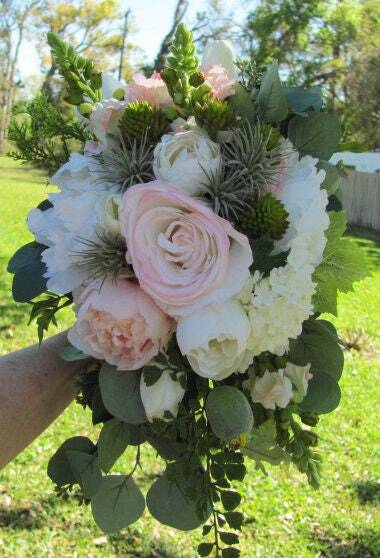 Modern handmade original design cascading bridal bouquet made of faux flowers and faux succulents, This pretty bouquet features colors of white, pinks, greens and ivory artificial flowers. 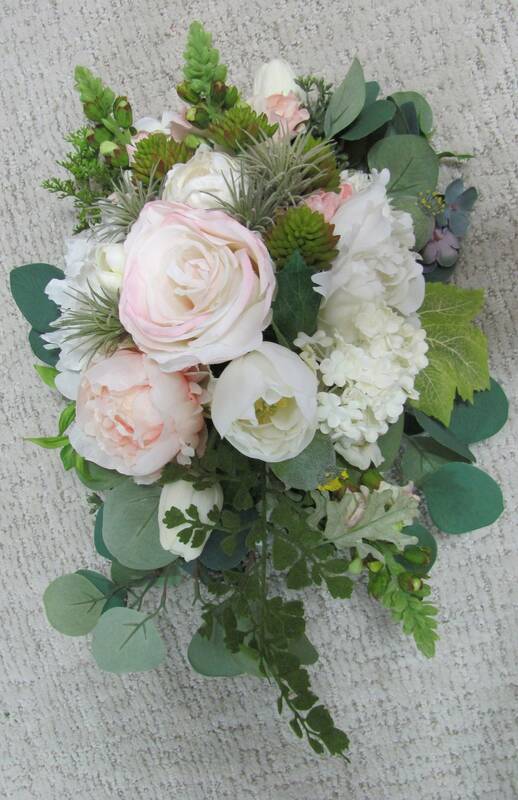 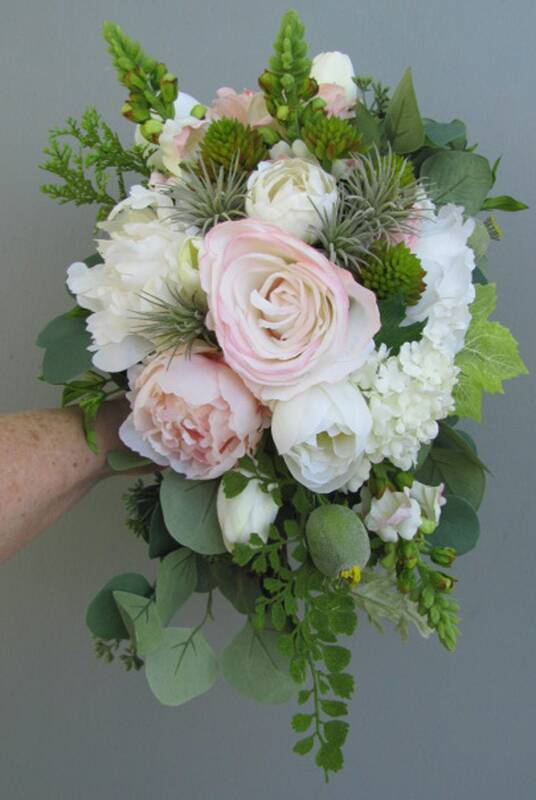 I used roses, tulips, hops, snowball flowers, ferns, eucalyptus and various other greens. 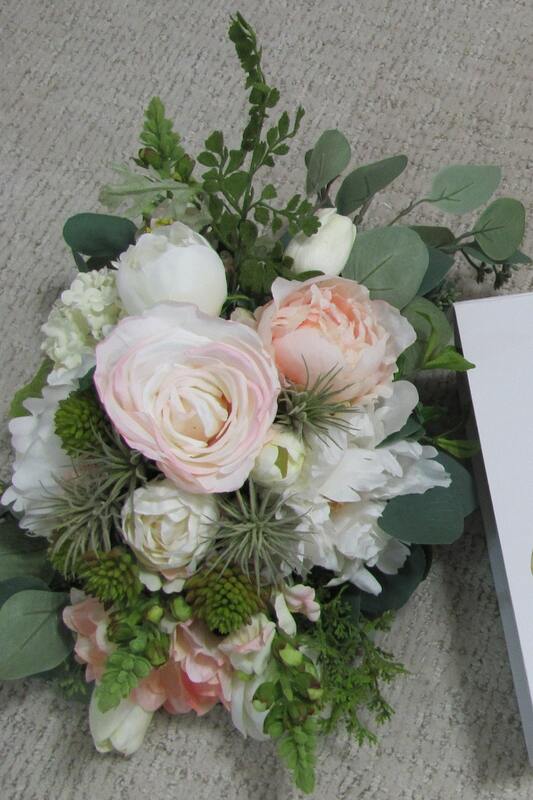 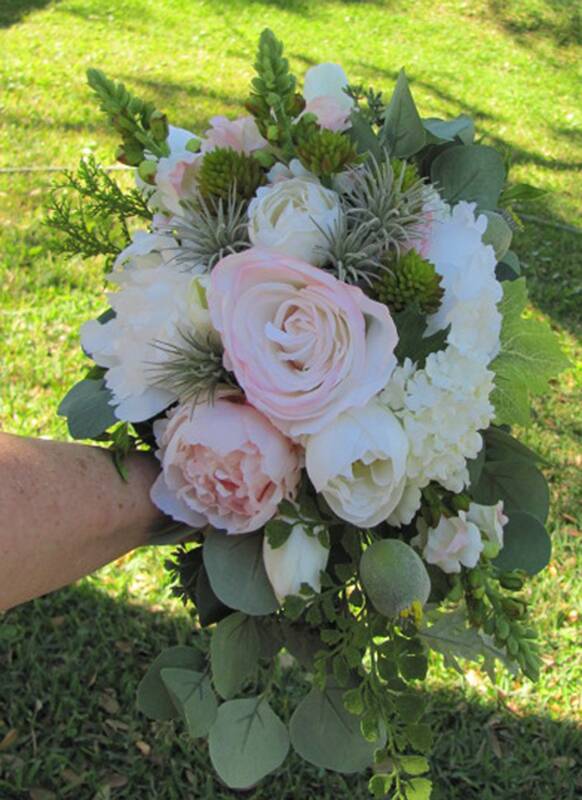 The bouquet has a slanted handle that is wrapped in white satin ribbon. 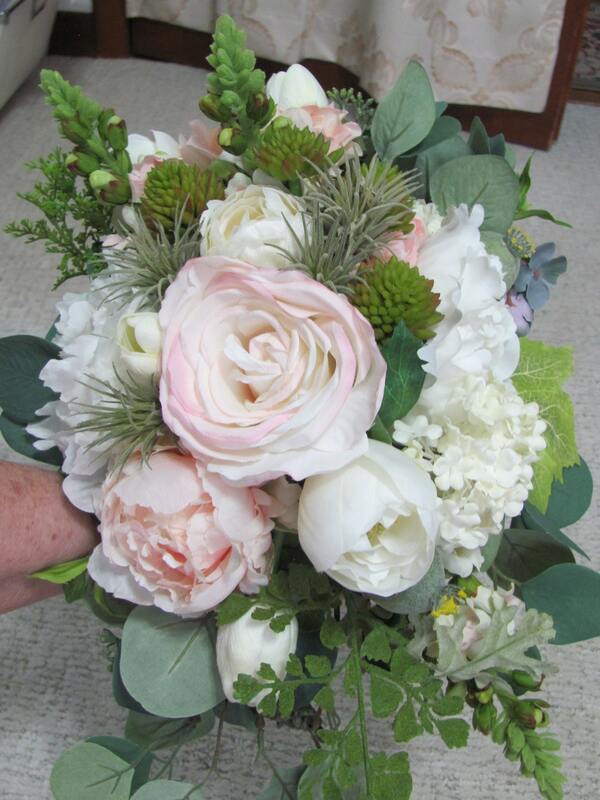 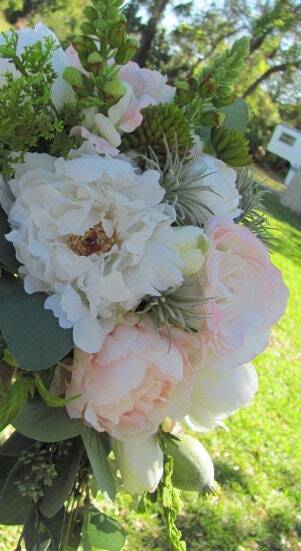 This bridal bouquet measures approximately 17 inches long and 11 inches wide.. Grooms bout/flower included.